So, I just cooked up some new colors for my OpenBSD rig. The colors are just low contrast variations of the default X colors. Thought it would look crappy, but I am kinda satisfied with the results. Now, presenting the screenshot. Click on the images for full view. Now, for the colors, just click on the following link. As for the wallpaper, it’s the famous Minimal 2 version from Alexander at DevArt. Follow the link to the wallpaper. If you are into minimal walls, make sure to check out his profile page. He’s got some excellent wallpapers. On a related note, the track Terrific Trio vs Rocketeers from Batman Beyond Album is da bomb! Killer track to run in the background when hacking furiously. Sort of reminds me of the track, Ishikawa surfs the system from one of the Ghost in the Shell Albums. Today, we moved from the first floor to the fourth floor in the hospital. It was pretty hectic. Finally, I can sit back and relax for a while. Posting a current shot of my EEE. I have only my EEE machine with me at the hospital. 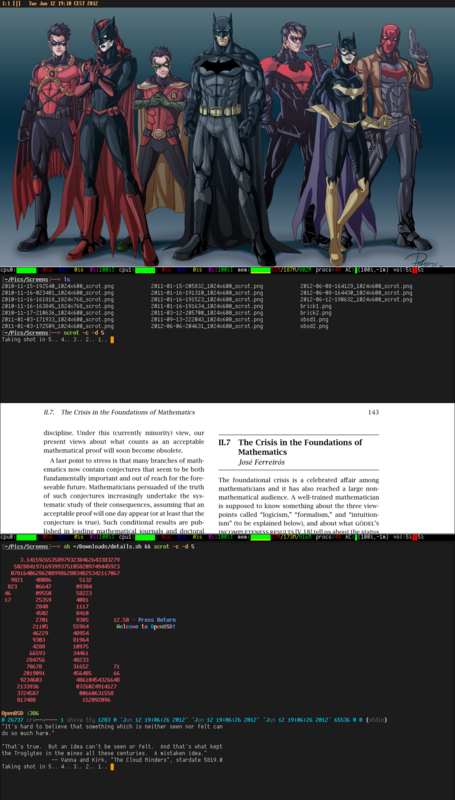 It is powered by OpenBSD 5.1 and ScrotWM is the window manager. The machine is brilliant and OpenBSD just flies on this nifty box. I have had no problems whatsoever with upgrades. Started out with OpenBSD 4.5 and now it is the latest 5.1. No reinstalls, just simple upgrades and some minor hacks here and there. As far as the details of the shot goes, the font is still Dina medium and bold, pixelsize 15. 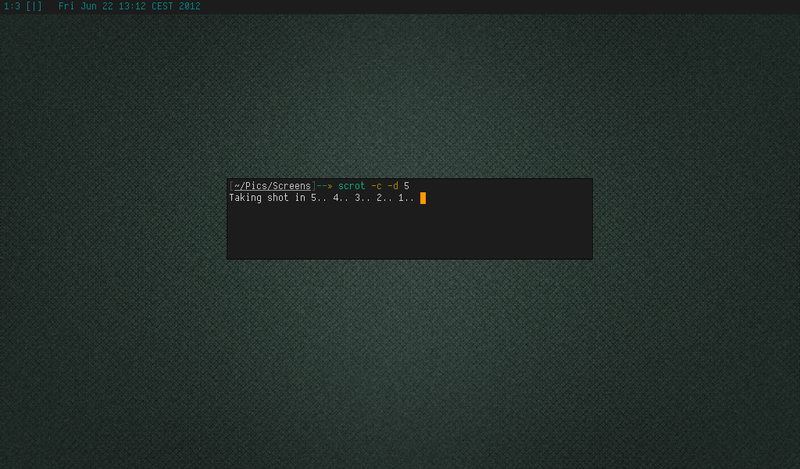 Colors are gentoo colors. If any other information is needed, please drop a note. Now, to the screenshot. As usual, click on the image for full view. Going by tradition, how about a mundane screenshot of my EEE at the hospital. 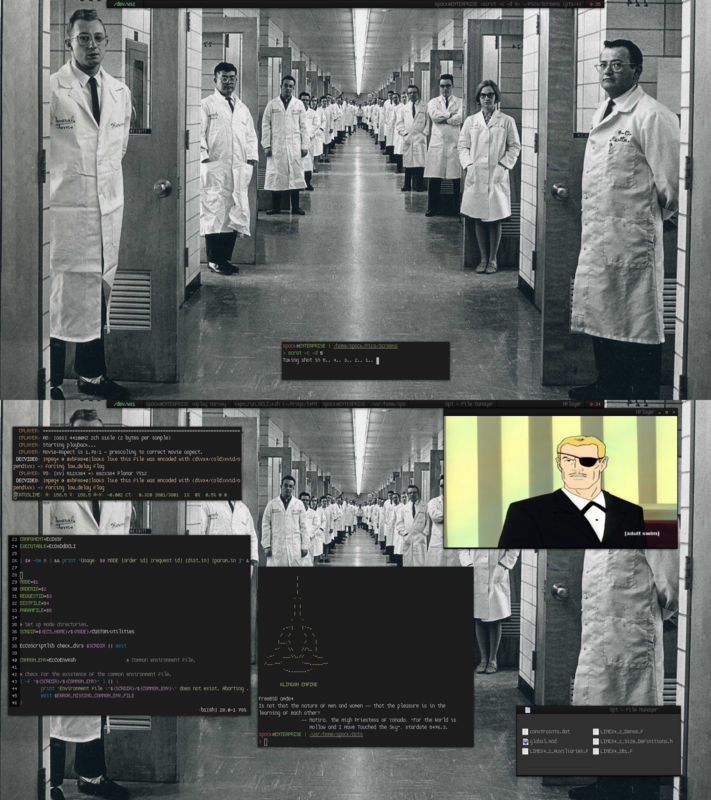 I am still using OpenBSD on this machine and ScrotWM is the window manager (SpectreWM, as it is called these days!). 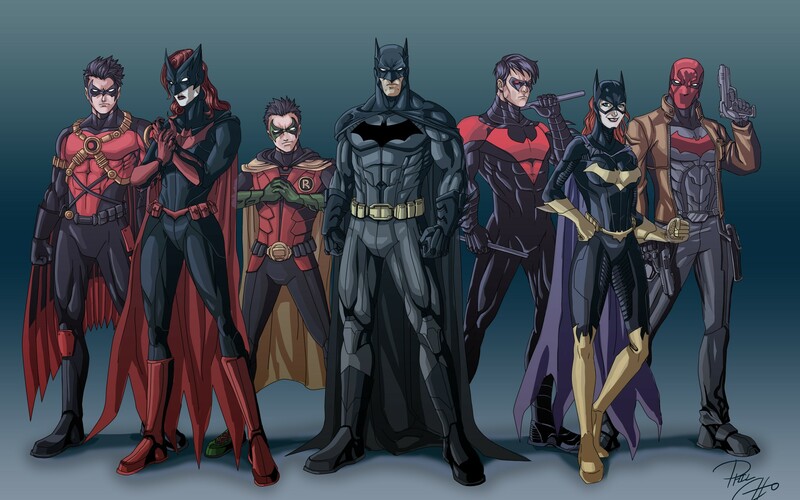 I love the Bats family wallpaper. The font is Dina, pixelsize 15. If there is any question, please let me know. 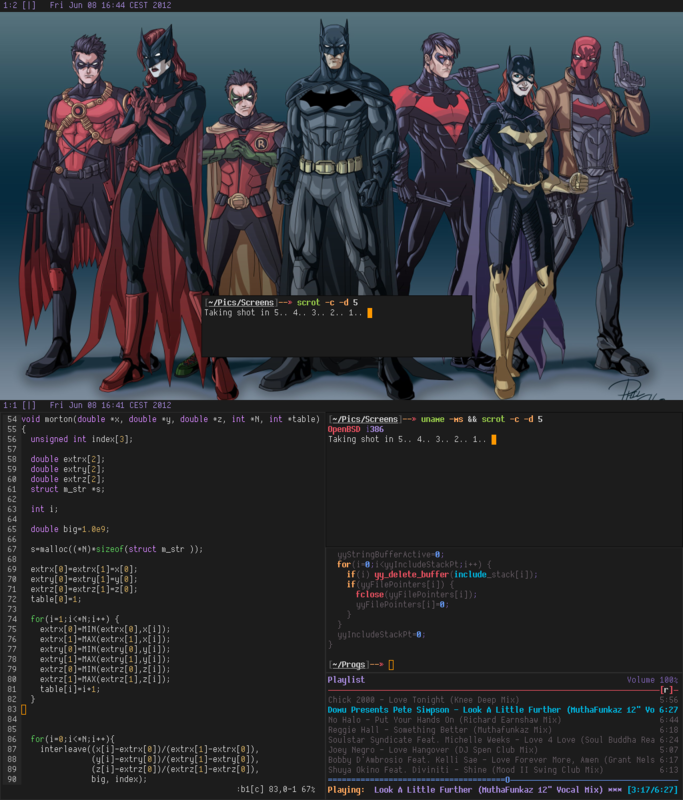 Oh, the colors by the way are based on the famous Gentoo default config, both the Xdefaults and vim theme. I am the Goddamn Batman! 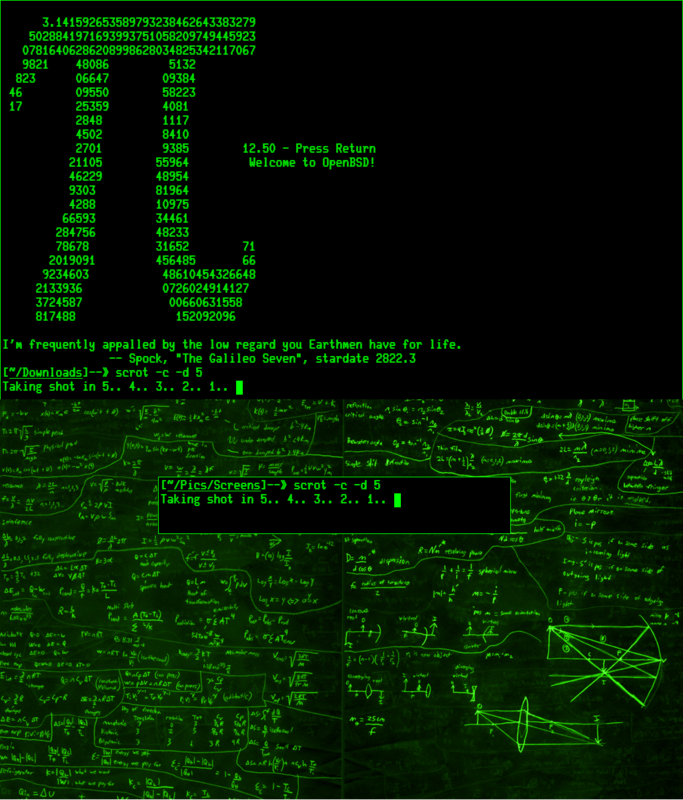 Now, the wallpaper. Click for full view. As I had mentioned earlier, my EEE 1000H is powered by FreeBSD 7.2 and so far it has been good. Still haven’t had the proper time to workon the wireless, but so far have got most of my acpi scripts working, so its great. 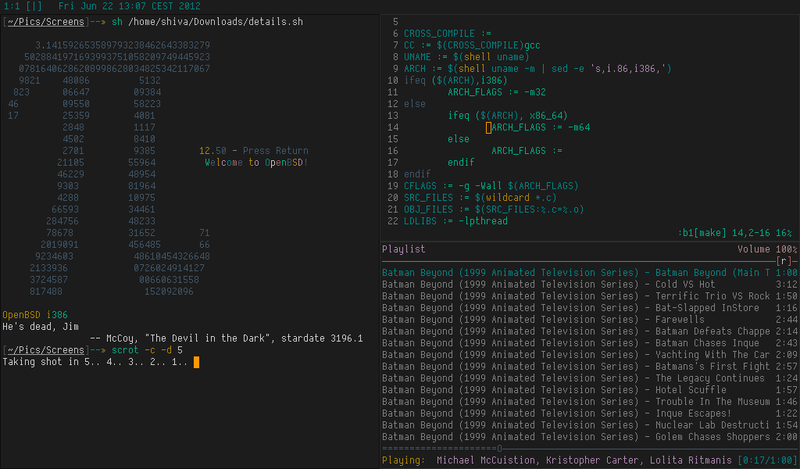 Anyway I am posting another EvilWM screenshot on this Beastie powered toy. Click on the picture for full view. 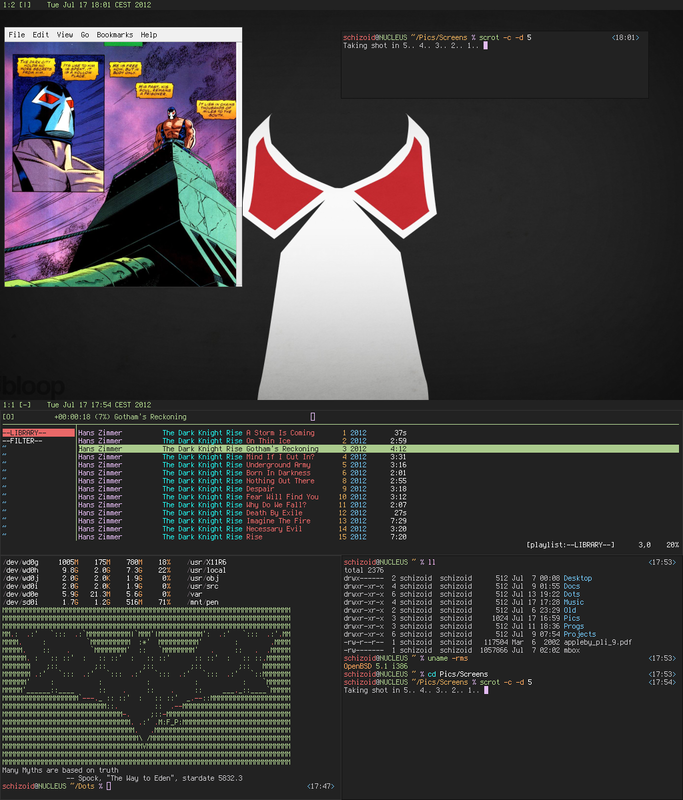 This is how my current Lunar Linux setup looks like in my office machine. Royalty still rocks my fluxbox, and its Astroboy to take center stage. Was watching a documentary on manga last night, so thought of doing this on my desktop. The rest are self explanatory I guess.